Ready to make something a little different for Thanksgiving, here it is! My spin on a traditional Pumpkin Pie! One 9 inch pre-baked deep-dish pie shell or One Pillsbury Pie Crust, rolled out and placed in a pie pan. In a large bowl, gently whisk the eggs. 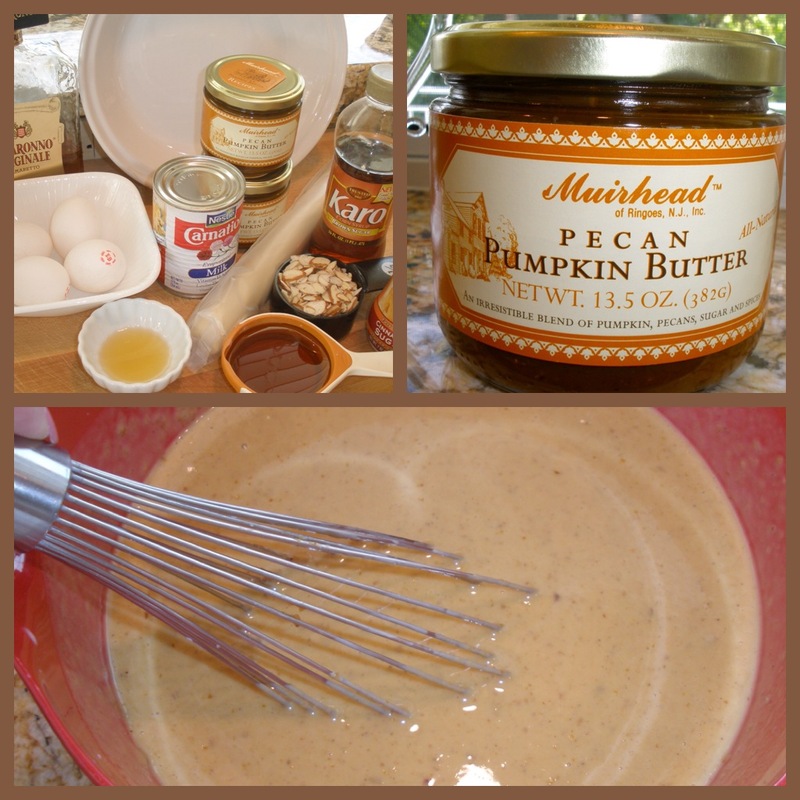 Add the Pecan Pumpkin Butter and evaporated milk and whisk until well combined. Pour into the prebaked pie shell and bake until the center is set, approximately 1 hour and 15 minutes. At this time, pour on the Almond Amaretto Glaze and spread around with a spatula as evenly as you can. Bake for an additional 10 minutes. 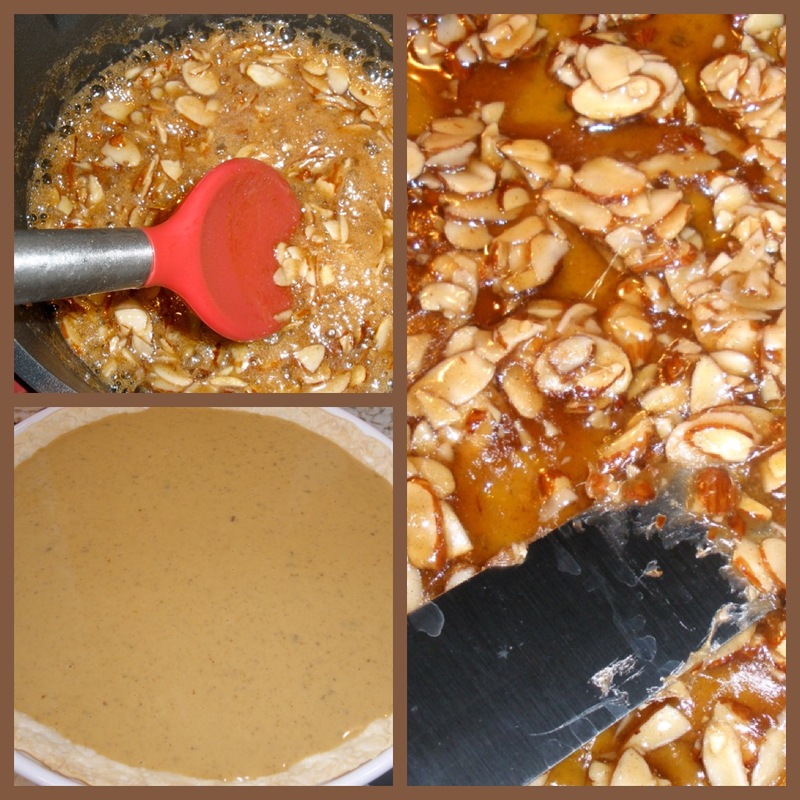 Around 15 minutes before the pie is done, mix the Karo Syrup, almonds, Amaretto, and cinnamon sugar in a small saucepan until bubbling. Reduce heat and stir until it thickens for around 5 minutes. Set aside until you top the pie, if it gets too hard, reheat on stove. 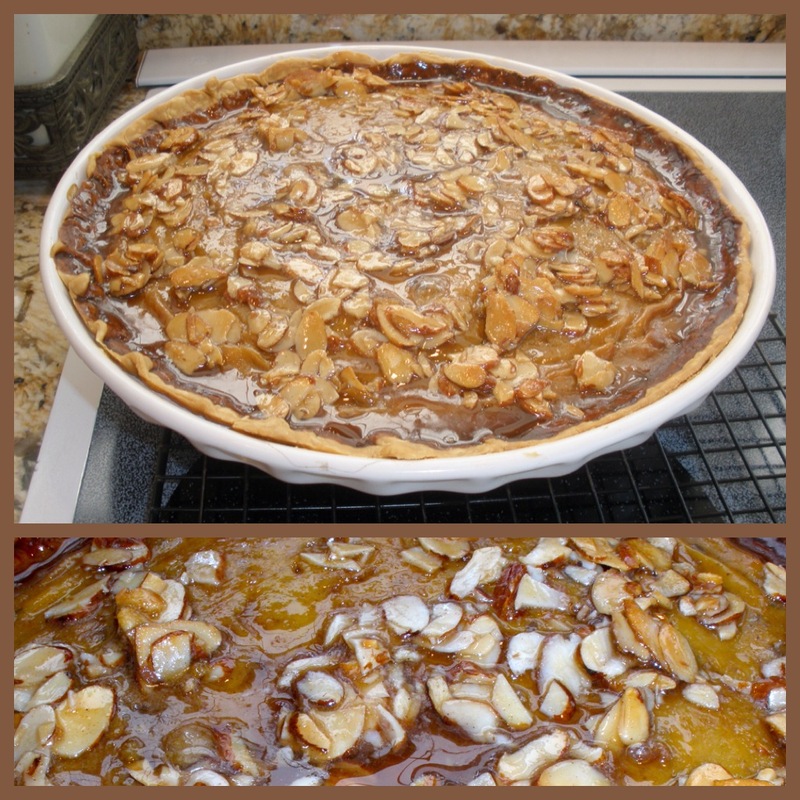 This entry was posted in Desserts and tagged ALMOND, amaretto glaze, Deep dish pumpkin pie, pumpkin pie, recipe. Bookmark the permalink.